Stingers Pizza Pub is commonly known by the locals as Stingers! The name Stingers comes from the mighty hornet which is the famed mascot of the local Fayetteville-Manlius High School. We also happily serve the surrounding communities of Cazenovia, Pompey, Jamesville-Dewitt and beyond. 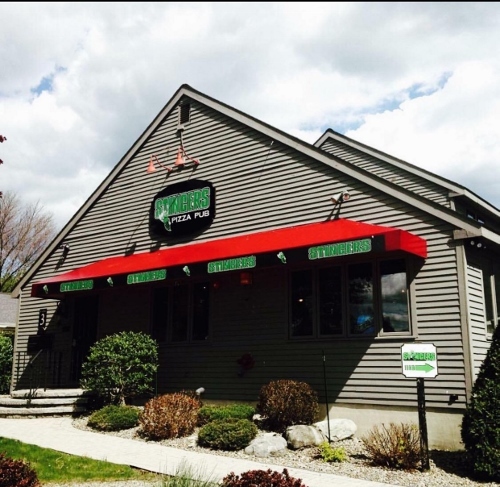 As you enter the doors or walk into the patio of Stingers, you will quickly realize it is an iconic relaxed, friendly and fun restaurant conveniently located in beautiful Manlius, New York. We specialize in made-from-scratch thin crust pizzas and healthy fresh salads that are delicious. Virtually everything is made from scratch with love under the careful and creative care of our own Chef Andrew Franco. 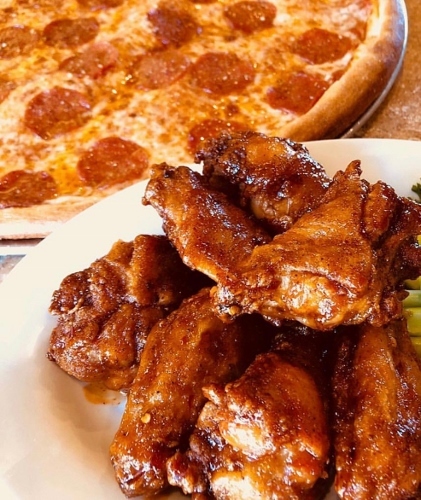 We are a sports-centered restaurant with more TV's than you can count, so your favorite sporting event is always on and we are big enough to accommodate the whole team. In fact, we love to feed the sports teams for free after their games, no strings attached. We love our local schools, churches and surrounding businesses, and we support them every chance we get. During the summer we open our patio and local bands entertain our customers. During the winter, we have local family focused entertainment inside.